I'd love to win this!!! I've been reading your blog for a while now and love your work. Congratulations on your book coming out! It looks awesome and can't wait to see it. I would like to make/complete some mini quilts on the weekends. Actually any quilting will do! Thanks for the chance to win such an awesome giveaway! I need to finish some of my wips up. Looking forward to seeing these awesome ladies work on items from your book. This look like wonderful book and i really hope to win. Weekend quilt is perfekt projects for me. First of all...congratulations on your first book...I'm so excited to see more ..because I know I'm going to love everything ... and hope I'm in for some luck and will win your gorgeous giveaway package... crossing fingers. Congratulations on your book! I'm looking forward to the showcase. I love sewing quick projects like pouches or cushions on the weekend! The book looks fantastic. I can't wait to start (and finish) some weekend projects! Great giveaway. Looking forward to the blog hop and some more peeks at projects in your new book. This book looks like one I should definitely have! I am looking forward to the blog hop and the results of your giveaway!! Congratulations on your success! Wanted to leave "CONGRATS TO YOU ON YOUR BOOK" note! Looking forward to seeing these awesome bloggers creations from your book. Thanks for the chance to win your giveaway, and congrats on your book! What a great looking book! I'd love to work from it. I have a wish to make place mats & a table runner set on weekends. Your book looks delightful! For weekend sewing, I like small projects that I can finish in a day, like a set of pouches or a small lap quilt. Thanks for the fun! I love projects that come together quickly, I find I get distracted or get bored if they take too long to complete. Looks like a wonderful book! Its now on my wishlist. Congratulations on getting your first book published! Big achievement. I love the kaleidoscope quilt on the cover. Any sewing or quilting I can get done on the weekend is a bonus. Thanks for the opportunity to win a great giveaway. Congratulations on such a wonderful book Jemima! I love it!! Congratulations on your book. It looks great and sounds perfect for someone like me who wants to learn more about the different types of quilting. I like to get any sewing or crafting done on the weekend instead of chores, but my project of the moment is my daughter's quilt which is slowly getting together. wow your book looks amazing. I hope you're very proud of what you've achieved, well done. Congrats! Love the cover quilt! Both of my nieces are expecting so it's time for baby quilts. Your cover quilt would make a lovely one! These look like really cute projects; I'm looking forward to seeing the rest of the blog tour. Honestly, I don't do a lot of weekend quilting---tends to be more weeknights after the kids go to bed. =) These days I'm busy making quilts for my kids and baby quilts for sweet friends. Congratulations! Your book looks great! I love quick projects in between the bigger ones. This book looks amazing! 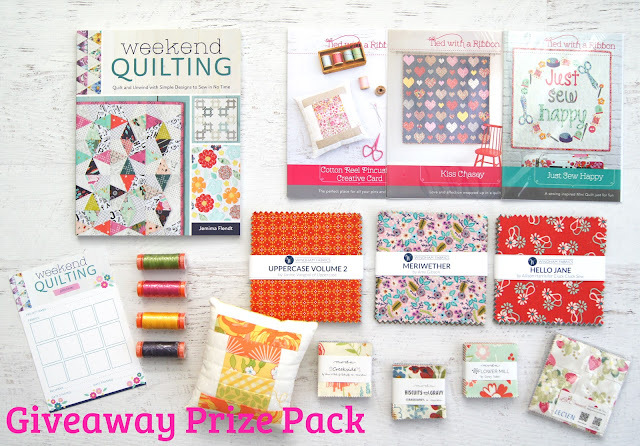 I would love to win this and from what I can see, there are many projects in it that I would make, starting with the cover quilt! Congratulations on the book. I've always enjoyed your designs in the magazines I get from time to time. I'd love to win this prize pack. I'm new to your blog and to quilting, love the fabrics and looks like your book would be so much fun to learn from. All my quilting is trial and error, luckily I've been practicing on fabric from clothes that I've repurposed. I coul,d already picture the quilt I could learn to make from your book. Congratulations on publishing your book!!! What a great accomplishment!!! Yahoo you!!!! Excited to see what everyone makes! Very well done on publishing your book. I would love to make a lap quilt on the weekend and small projects. Congratulations on release of your book! Congratulations! Your book looks great! I'm a "the kids are out" sewist/quilter so weekend sewing does not exist unless it's after the kids are asleep. Then it's a quick project that will only take a couple of hours from start to finish, or I will continue with my ongoing project for a bit of me time. Loving the Bloggers Showcase of your book sew far! Jemima your book looks beautiful. I have recently got back into quilting thanks to Robyn from The Strawberry Thief doing EPP hexagons. Your book is very inspiring and I would love to do mini quilts because to date I have only done large quilts in very basic forms with a bit of applique. Winning your prize pack would allow me the chance to try a few new designs without the hubby complaining about all the large quilts around the house. 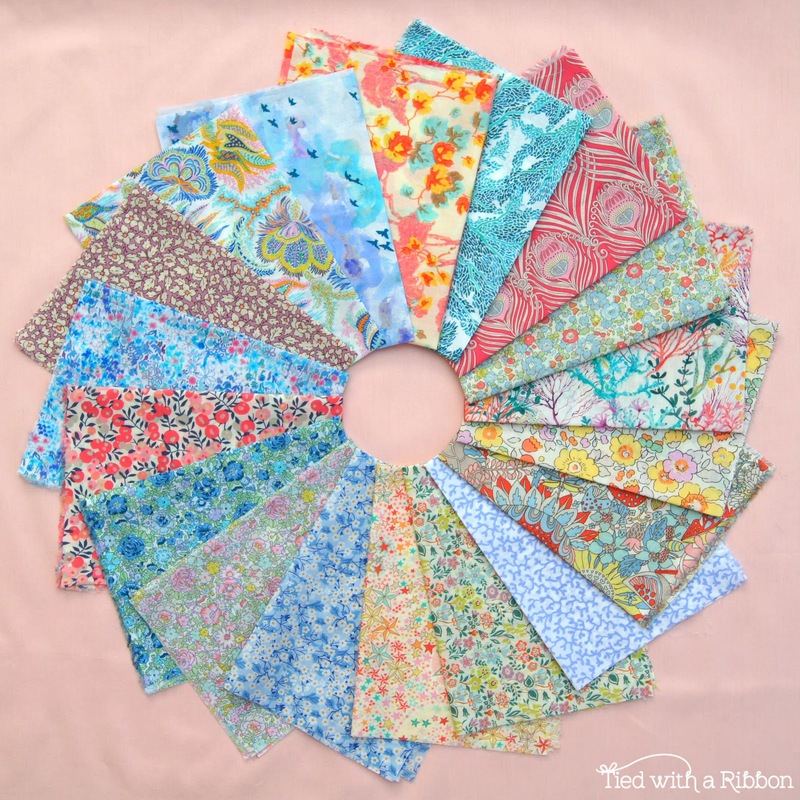 Loving following the Weekend Quilting blog. Well done on your book! What a great prize! I would live to win. So exciting to visit the blogs for previews of the projects. They all look fun to make. With summer vacation almost here, I'll have lots of time to try patterns from your book! I love to sew just about anything on the weekends-- I'm just thankful to get the time to sew! Quilts and dresses for my girl are my usual projects, though. What a fantastic looking book. This would come in handy under my roof because I am so slow in what I sew. Thanks for the chance to win it plus yummy fabric! For weekend sewing I love to have a project that I can walk away from or take with me as needed in the summer. Congrats on the book! I love to do mini quilts that can get done in a weekend or two! Looks like you have some cute projects in the book. I'm all for small baby quilts on the weekend with embroidery work in the evening hours. Non-blogger, so in case I'm lucky: swalker287 (at) aol (dot) com. This looks like a fabulous book and I'm enjoying stopping by the blogs to get a peek at what's been made using your ideas. Sometimes sewing on the weekend is the only chance I get to spend time with my machines. If I don't have a quilt in the works, I like to coordinate some scraps and make a cut tote bag or bib, then applique something fancy on it. This kind of mindless sewing is the best for slowing down my crazy life. Working right now on I spy quilted soft books. I also like to crochet during sports games on the weekends so I can snuggle my husband at the same time. Beautiful pack and book! I like to make smaller projects like table runners or zipper pouches. I'd like to make a quilt for my grand daughter. Beautiful fabrics. I like to make a small project, if possible, every weekend, such as a Mason Jar pincushion, cord covers, cup cozies and such. Congrats on your book!! So many great projects! Looks like a great book, I would love to own it, and the other prizes, thanks! I like making mini quilts. I like that they come together quickly and are easy to quilt. I'm excited to see all the different patterns put together! congratulations. this looks like a fantastic book. yummy those fabrics are lovely. on the weekends I like to make something small, like place mats or a small table topper, or hot pads. What a great looking book and fabrics to work with !! There are a couple of charm quilts I want to make over the weekends plus I got 4 blankets to finish. Yep weekend sewing is relaxing for me. Congratulations on your book. I know it is rewarding. I always have a long list of things to accomplish. I'm retired now so weekends blend into the week but if I only have 2 days I go for easy lap quilts or small crafts. I would love to win a copy of your first book! Wall Quilts are my favorite projects & would be so much fun using patterns from your book. The cover is so appealing & colorful. Would TREASURE the opportunity to DREAM & CREATE ! Thank You ! I would love to accomplish any kind of Quilting on my weekends. With two little ones and another on the way it's difficult to have uninterrupted time. I'd really like to finish all of my half finished projects! They're taunting me. Congratulations on your book! On the weekends I like to see things up for my kids. It's been a while since I've tried a mini quilt. It'd make a lovely new project. Congratulations on your book ! I like to do scrap charity quilts and this book is perfect for a quick quilt. Hello & congrats on your new book. I like the projects that can be accomplished in a weekend. My Mother and Aunt made quilts but I need did until two years ago. I sew on about two quilt projects most days. Now I have two Great Granddaughters and I am making them quilts and dresses! I love to work on quilts on the weekend. I have been doing this since about 2009 and I am hooked. I have sewn since I was a teenager so I like to make just about anything when I get the chance to escape to my sewing room. Weekends I sew whatever is out, little bits of blocks. Your book would get me to finish a quilt. 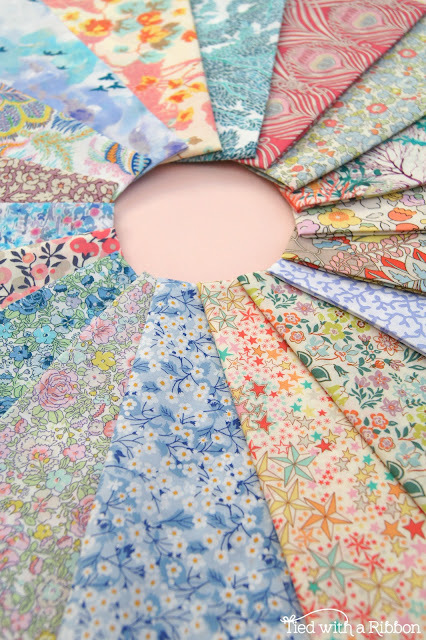 Swooning over the projects and prize fabrics..
You have a lot of admirers. Everything looks so beautiful. Congratulations! I'm looking forward to reading all the blog posts and also making some quilts. One can never have too many quilts or too many plans to make those quilts. Just finished my first quilt top (baby-sized), so I'm looking forward to getting it quilted ... need to muster up my courage & try machine quilting, I think! 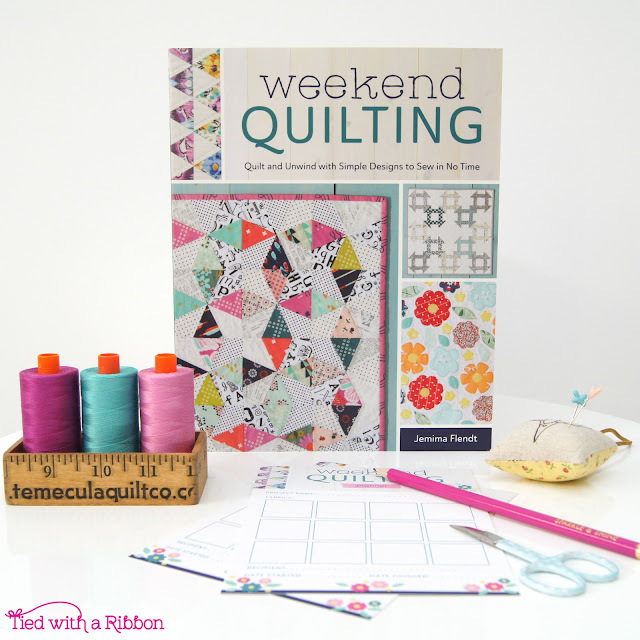 Weekend Quilting Pack looks like a lot of fun to explore. I love to make home décor like table runners and pillows! I'm lovin that blooms quilt. 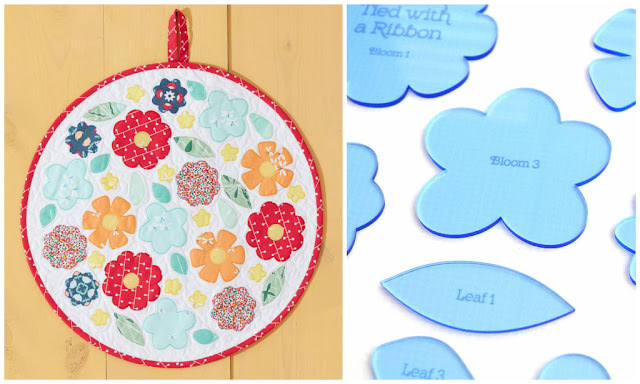 The templates make it look like a very simple way to make that awesome quilt! Congrats on your book. congratulations on the book. It looks great with so many projects. I normally work on quilts, many for charity. Congrats on your new book! I can't wait to get my hands on a copy. I would love to make a baby quilt for my new little one coming in December! Gotta push past the morning sickness so I can get back to my machine! 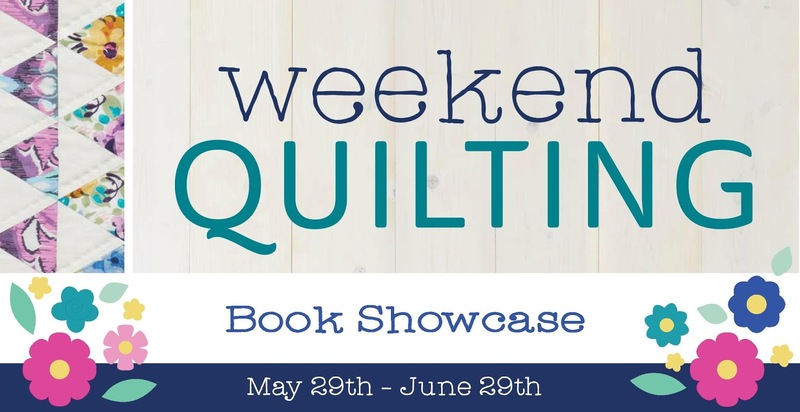 I love quilting and sewing for others and I look forward to your new book! Thank you for the giveaway! Congratulations on the book, what an achievement!! I can't wait to see your next batch. Would love to win. I am fairly new to quilting but right now I am enjoying English Paper Piecing. I would love to win this prize pack and would enjoy sharing it with my daughter. Congratulations on your book! Thank you for the lovely giveaway!!! I like to do some hand sewing on weekends. Slow and steady and portable to boy's sport! 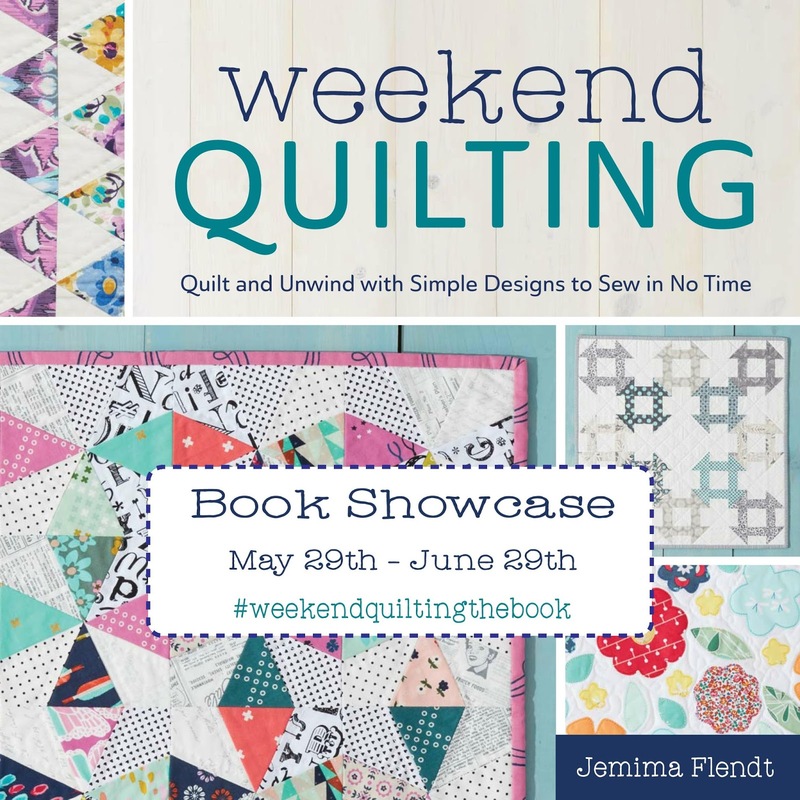 I would love to make the mini quilt on the cover of the book. I love to to participate in sew alongs. Right now I am in a quilting sew along. It's nice to see how everyone makes each block in different fabrics. The sew along allows for much sharing and learning! Your book looks like a good one. I like getting books and going through them page by page looking for ideas and different ways of doing things. Yours would be no exception. I will try them all. I Love to make quilts for any reason. Love the colors. I appreciate the chance to win this lovely package. Good luck everyone. I hope I can win. Congrats on the publishing of your book. It looks great. On the weekends, I like to sew my quilts but if my young daughters are joining me, I like to do small projects like mini quilts so I am more free to help them :-). Thanks so much for your generous giveaway. I love to look for new blocks and test things out. Just making small things. 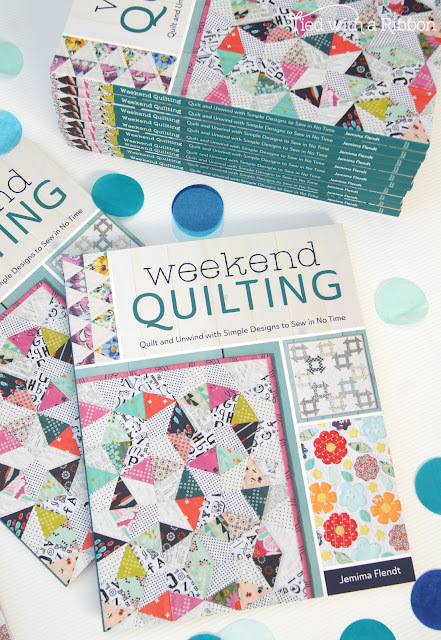 I'm crushing on the cover quilt! Congrats and how exciting! Congrats on your book! I would love to quilt some Barn Quilts in the weekend/s. It is something I think about often but it never seems to get to the top of the list ��. Looking forward to meeting you at Cotton Rose (Dunsborough) in August. This fabric is so cute! Oops. It put my name as unknown.My name is Anna and I can't figure this comment as thing out. My email is steelyanna(at)gmail(dot)com. Thanks for hosting this awesome giveaway! I would love to make a baby quilt for a friend of mine -- and a couple of holiday runners for our table. I love sewing quilted placemats on weekends they are quick projects with beautiful results. How lovely it would be to win this my grandmother taught me how to quilt before she passed away and I am really looking forward to continuing the family tradition by teaching my children (someday). thank you for this opportunity. I really enjoy your blog. Weekends are for big projects! I like to spend all day making a big quilt. So happy to have found your blog. Happy sewing y'all! What a lovely book and book tour. I've enjoyed every stop along the way. Looking forward to your wrap up and to getting a copy of the book.